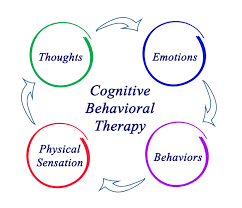 Markham's Behavioral Health: What is cognitive behavioral therapy (CBT)? "Cognitive behavioral therapy, or CBT, is a short-term therapy technique that can help people find new ways to behave by changing their thought patterns. CBT is a collaborative therapy, requiring the individual and counselor to work together." CBT, the so called "talk therapy," is very helpful and achieves better results than medications in most cases. Psychotropic medications and psychotherapy can both be helpful. Psychotherapy usually contributes to the most effective and longest lasting results.